Though Bushwick thankfully escaped major damage from Hurricane Sandy, nearby Highland Park did not fair so well. The park lost a significant amount of trees (of a total 30,000+ trees the city lost in the storm). The city's tree canopy needs to be rebuilt, and you can help! The New York Restoration Project, in partnership with JetBlue, will be hosting the sixth annual One Thing That's Green day on Saturday, April 20th. Volunteers will be planting over 2,400 trees in the park, part of the larger goal of the MillionTreesNYC project of planting a million new trees in the city by 2017. 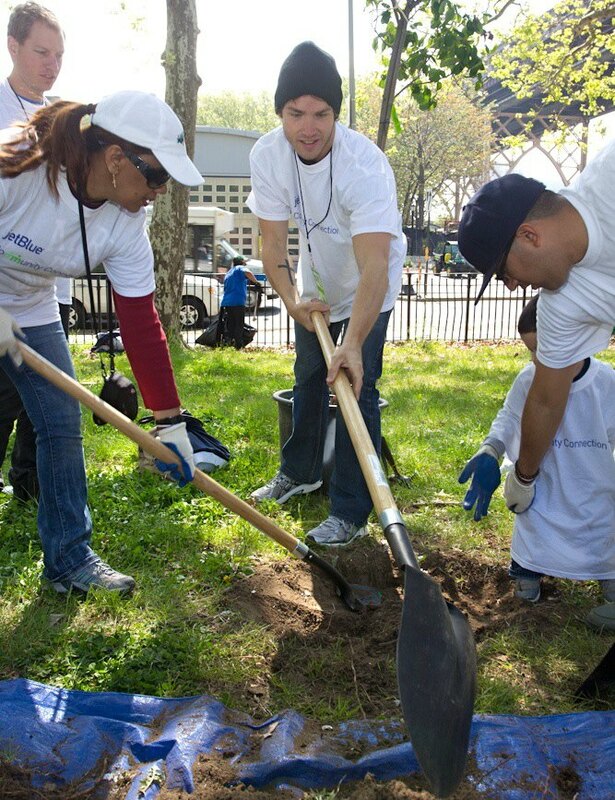 Whether you're interested in giving back to the Bushwick community, protecting the environment, or even winning free JetBlue tickets (they're giving away four pairs of JetBlue travel vouchers to raffle winners) then you can register to volunteer here. The event will run from 9 AM until 2 PM, and there will be tree planting (they'll teach you how), entertainment, and free breakfast, lunch, and t-shirts for volunteers. As NYPR representative Anne Tan says, the event “is a great way to show environmental commitment to the community in Bushwick.” So if you’re interested sign up online and come out to Highland Park on Saturday, April 20th to plant some trees with your neighbors!